Although he only stands five feet, nine inches, Howie Landa was an All-Public basketball selection while at Central High School. He is recognized as one of the greatest junior college coaches in America. He even served a short stint as head coach for the University of Nevada, Las Vegas. For 26 years ending in 1989, he was the head coach at Mercer County College in Trenton, N.J. His Mercer teams competed four times for the National Junior College Athletic Association Championship, winning twice. His teams also won 10 Regional Championships and 15 District Championships. He was named NJCAA Region XIX Coach of the Year on 10 separate occasions and National Coach of the Year three times. In 1989, he was an assistant coach at UNLV under Jerry Tarkanian. From 1990-1994 he was UNLV assistant women’s coach. In 1994, seven games into the season, he was named the interim head coach for the Runnin’ Rebels. With Landa at the helm, the team was 5-2. In 1972-73, Landa was at the helm of the Allentown Jets in the Eastern Pro League where he was named the League’s Coach of the Year. 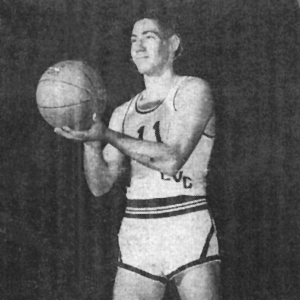 Following his graduation from Central in 1950, Landa went on to become a star player at Lebanon Valley College where he established 16 individual records. He is a member of the Lebanon Valley College Hall of Fame and Pennsylvania All Sports Hall of Fame as a player and is a member of the Mercer County College Coaches Hall of Fame and the NJCAA Hall of Fame. He also played in the Eastern Professional League in the 1950s and was named to the All-League team in 1957. He was the head coach for the co-gold medal winning US Maccabiah Women’s team in 1985 and was an assistant coach for the men’s team, which won the silver medal in 1993.